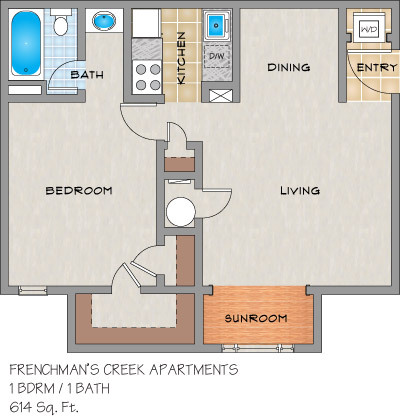 Please send me more information about Frenchman's Creek Apartments. 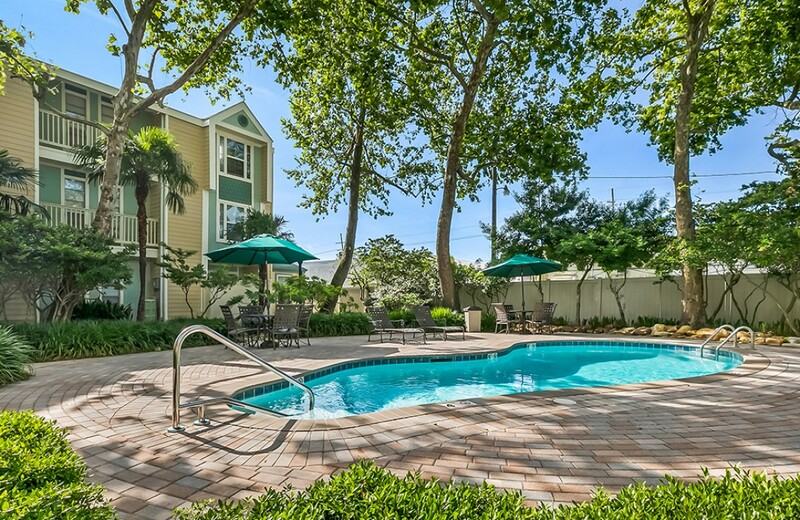 Within the gates of this peaceful Metairie, LA apartment community, you will step into landscaped courtyards, stroll over quaint bridges while enjoying the tranquility of winding paths surrounded by bubbling creeks and flowing fountains. Relax by one of our two tropical pools while enjoying the serene surroundings. Minutes from Tulane-Lakeside Hospital, Clearview Mall, Louis Armstrong International Airport, Downtown New Orleans, local universities and schools, and many restaurants and entertainment spots, our apartments are so convenient, you'll be able to spend more time relaxing. 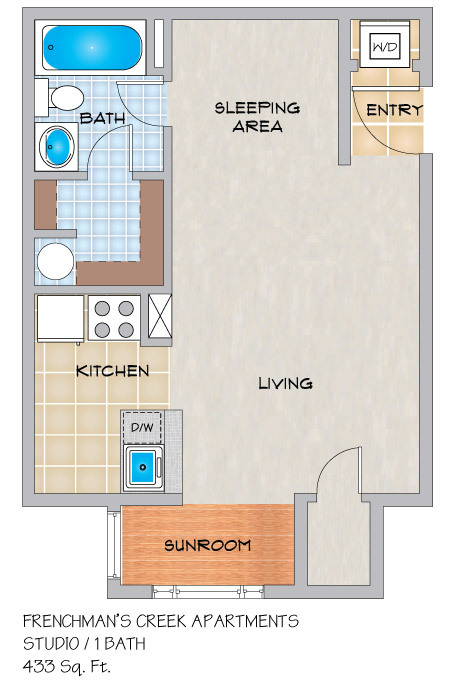 If you are looking for an apartment for rent in Metairie, our community offers studio, one and two bedroom apartment homes. Enjoy a fully appointed kitchen, washer/dryer, patio or sunroom with wood tone flooring, intrusion alarms, spacious closets and more in our New Orleans style community. 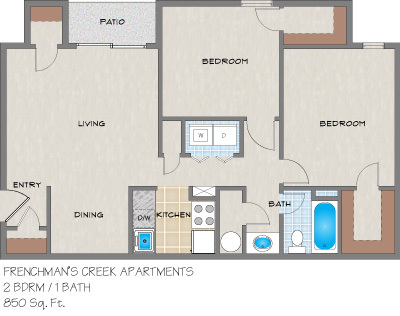 If you want an apartment that feels like home, I would recommend Frenchman's Creek Apartments in Metairie, Louisiana. The atmosphere, inside and out, is outstanding. Inside has a washer and dryer, large closets, and beautiful big windows. Outside has very nice pools and creeks. People walk their adorable dogs and will stop and talk if you want to. Everything is kept up. The landscape is very appealing, refreshing and relaxing. 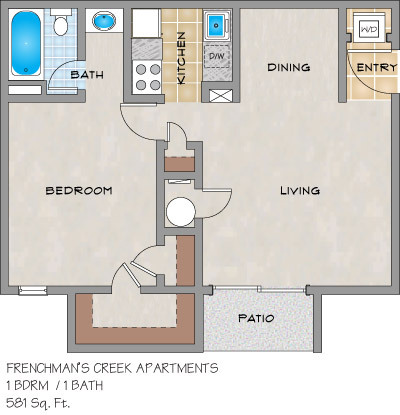 Besides the best location, different varieties of apartments, wonderful staff & maintenance, great neighbors, & the most beautiful landscape that wins awards, Frenchman's Creek has another good reason for you to live at this complex. A brand new, nice convenience store & gas station opened on the corner. You can walk next door & get the best fried chicken, coffee, pastries, etc., and it is open 24 hours. Frenchman's Creek just keeps getting better and better. he best location, different varieties of apartments, wonderful staff & maintenance, great neighbors, & the most beautiful landscape that wins awards, Frenchman's Creek has another good reason for you to live at this complex. A brand new, nice convenience store & gas station opened on the corner. You can walk next door & get the best fried chicken, coffee, pastries, etc., and it is open 24 hours. Frenchman's Creek just keeps getting better and better. 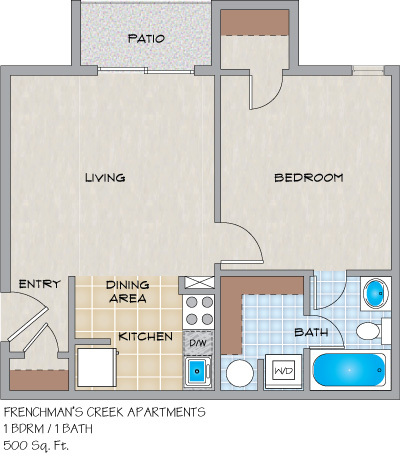 Besides the best location, different varieties of apartments, wonderful staff & maintenance, great neighbors, & the most beautiful landscape that wins awards, Frenchman's Creek has another good reason for you to live at this complex. A brand new, nice convenience store & gas station opened on the corner. You can walk next door & get the best fried chicken, coffee, pastries, etc. and it is open 24 hours. Frenchman's Creek just keeps getting better & better. Many of the tenants who reside at Frenchman's Creek Apartments in Metairie, Louisiana have lived here for a number of years. That tells you what a great place this is to live. 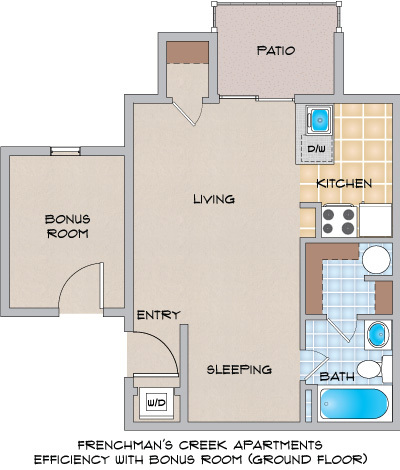 The apartments are laid out in such a way as to make organizing your furniture and belongings an easy fit. There are a number of ways to arrange your furniture. That's how roomy the lay-out is. The outside is always kept perfectly clean and is so beautiful. All the tenants love living here. Frenchman's Creek Apartments in Metairie, Louisiana has the best maintenance and construction crew in the business. I have lived here for awhile and it was time for improvement. The bathroom was totally updated and so was the kitchen countertop. The job went perfectly smooth. Everyone showed up on schedule and the projects came out great. The office staff would check on you to make sure you were happy with the way things were going. This was the easiest construction job I have ever been through. Thank you, Frenchman's Creek. 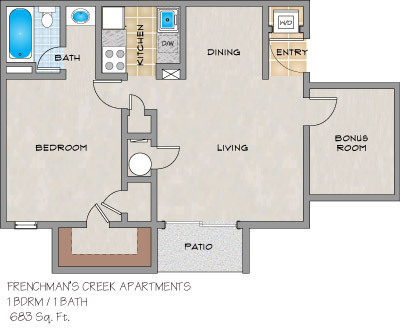 I currently live in Frenchmen creek Apartments and I have to say that it is amazing I would definitely recommend staying here to anyone that is looking for an affordable apartment within a few miles of restaurants, malls, and schools. Frenchman's Creek Apartments in Metairie, Louisiana has won the 1st Place Beautification Award again. The grounds of the apartment complex show why they keep winning this award. The trees and shrubbery are kept trimmed and shaped. It is so clean and peaceful outside. The sound of the water in the creeks makes it feel like the country. 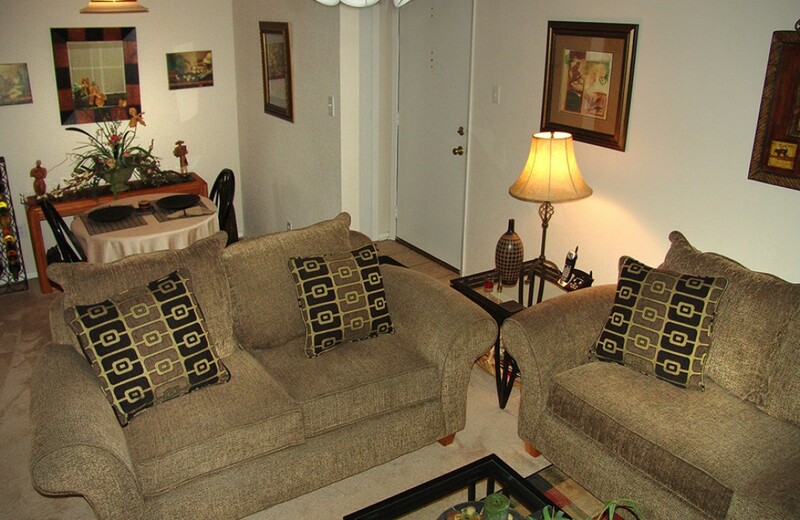 The inside of the apartments are spacious with plenty of closets. That's why I have lived here for a long time. Frenchman's Creek is a wonderful place to live. Frenchman's Creek Apartments in Metairie, LA is a three story complex. My apartment is on the second floor. I have friends who have lived on the first and third floors. All three floors are so nice. The first floor has a great patio with a white fence and ceramic tile floor. The second floor has a closed in patio for a computer room. The third floor has a vaulted ceiling with a skylight and a closed in patio for a computer room as well. All have washers and dryers which is very convenient. The staff at Frenchman's Creek is very friendly and helpful. The pool is always sparkling clean. Maintenance staff makes sure of that. 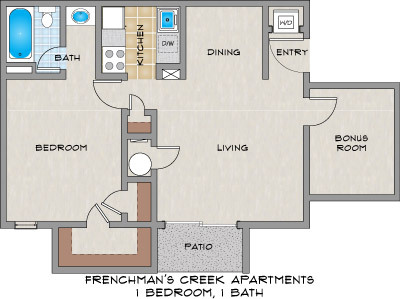 Whichever floor of Frenchman's Creek you choose to live on you will be very comfortable and feel at home. Over the years I have lived in numerous apartment communities. Frenchmen's Creek is by far the best. It is the most spacious, has large closets, the grounds are kept up perfectly and the staff and management are superb. The location is also a big plus. It is one block from jeff parish's main library and next door to a convenience store, restaurant, sports bar, veterinarian clinic and nail salon. And now, to top it all off, it is very peaceful and quiet. It is great living at Frenchmen's Creek. 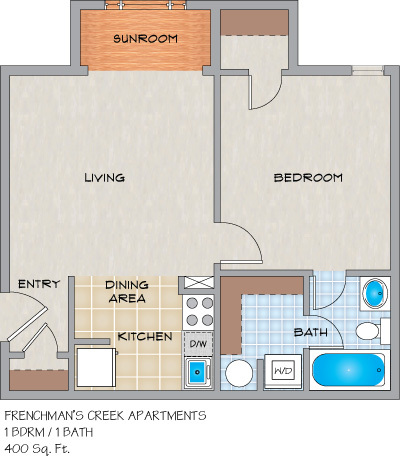 The time that I have lived at Frenchman's Creek apartments has been a peaceful and pleasant experience. I have lived here a long time and nothing goes wrong. If any repairs or replacements are needed, which rarely happens, maintenance is right there to take care of it. The office will even call you to make sure everything is done to your satisfaction. It's a great place to live. 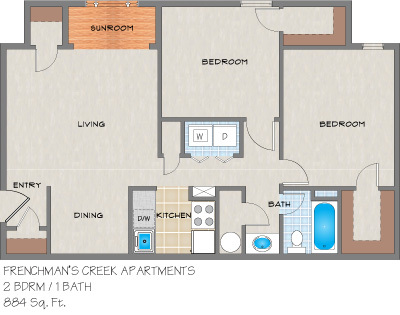 I currently live in Frenchmen creek Apartments and I have to say that it was well above my expectations! I moved from east new orleans and the complex is real quite that put my mind at ease. 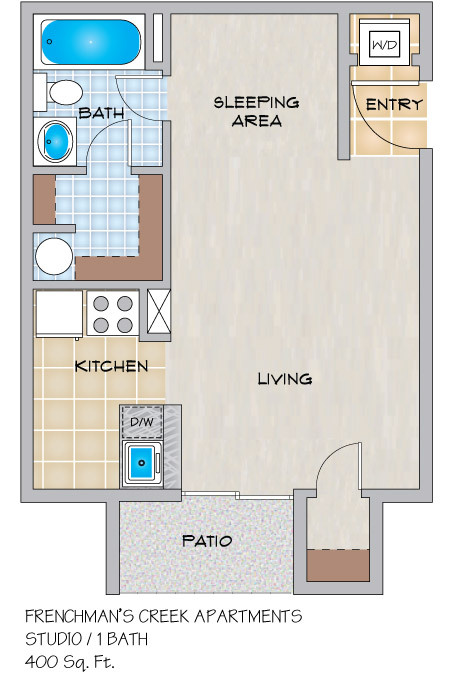 I would definitely recommend staying here to anyone that is looking for an affordable apartment within a few miles of restaurants, malls, and schools. 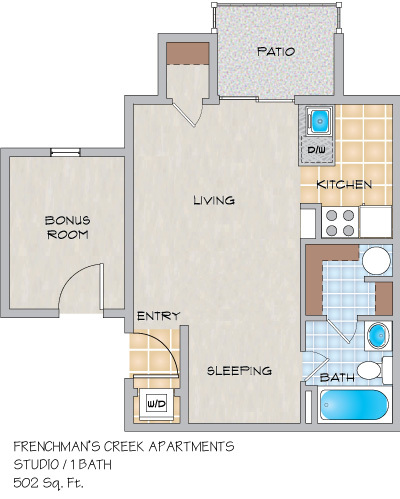 Frenchman's Creek Staff are the most helpful people I have ever encountered living in an apartment community! Tiana, Lavonne, Jamie...you could not find better staff. The grounds are well kept, pool clean and it's very quite and safe. I feel like I made the right choice!